One of my Black Friday gifts to myself this year was an Air Fryer. 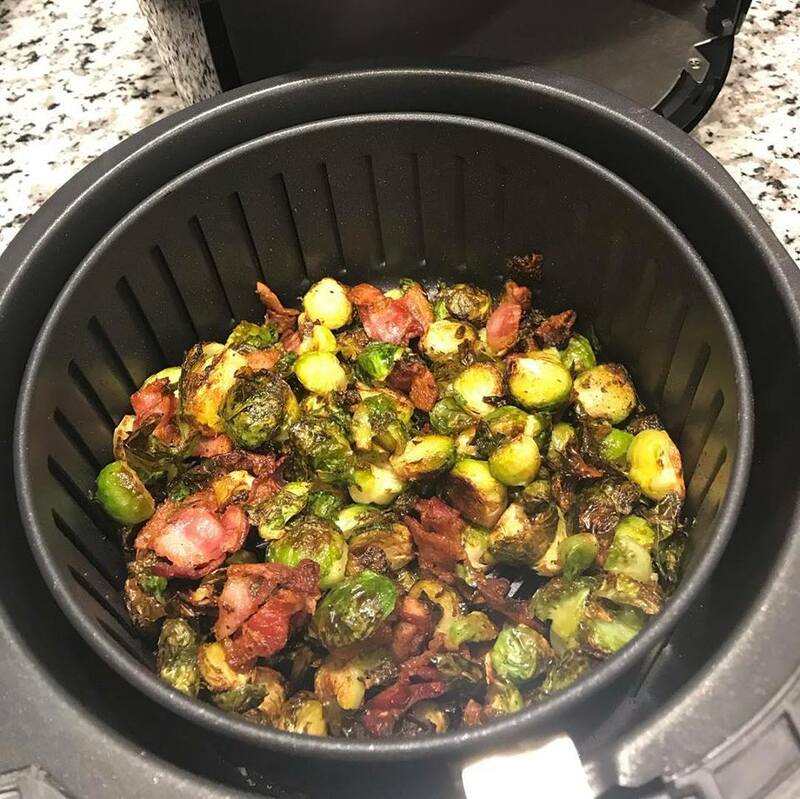 These Brussel Sprouts with bacon was the first dish I made in my new air fryer. 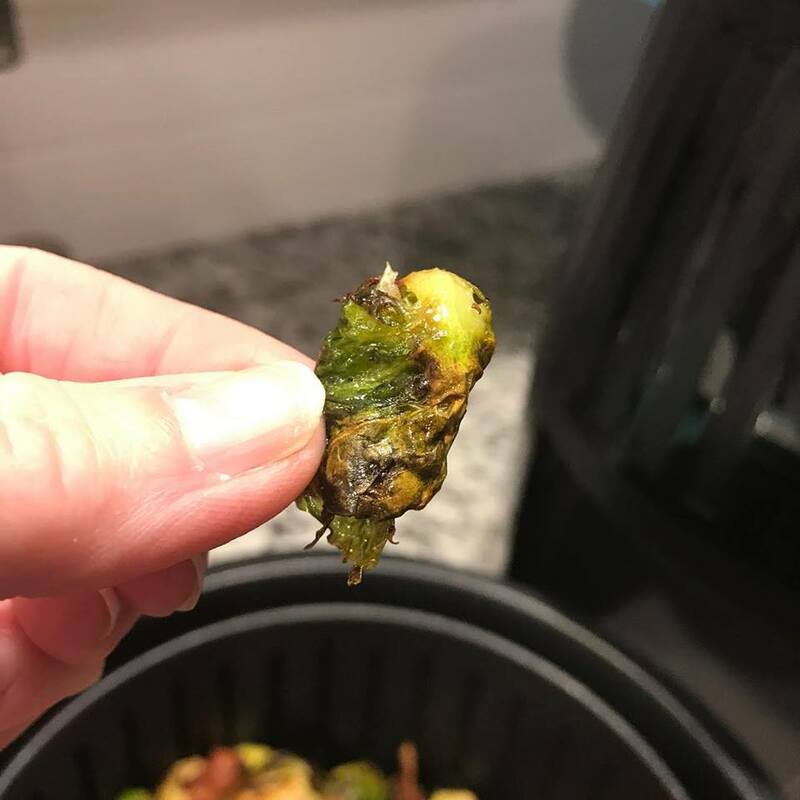 One of my favorite parts was the crispy leaves that fell off the Brussel Sprouts... Oh they were so good! Bill and I are trying to get back to eating better and following Weight Watchers again. We did really good on it back before Billy and Amanda's wedding. I find that I had their wedding that kept me on track last time and this time it is a little harder to stick to. This time we are more focusing on that we need to eat better so hopefully we will stick to it. Cut the ends off the Brussel Sprouts and cut each in half. Place Brussel Sprouts in bowl and drizzle with olive oil. Mix the Brussel Sprouts up with your hands to get them coated with the olive oil. Pour into your fryer basket. 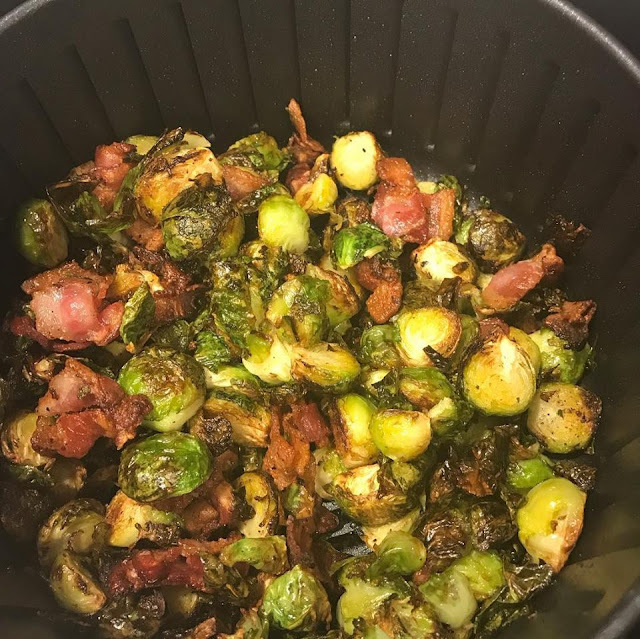 Cut the bacon strips into pieces and sprinkle them over the Brussel Sprouts in the fryer basket. Salt and Pepper. Turn air fryer on to 400 degrees and cook for 18 minutes. I stopped mine 2 times to stir them during the cooking process.